I am terrible at cleaning my makeup brushes, yes I know shame on me! Think most people would agree that it's a boring chore, so I started researching those spinning makeup brush sets hoping it would make it quick and easy. I believe the original product was the StylPro Makeup Brush Cleaner and Dryer. However, when I popped into Boots to find out the price, I was shocked to see it labeled as £39.99. Personally, I thought this was a little too expensive for a plastic bowl and a battery operated spinner. So I hunted on eBay for a dupe. I clicked order and it arrived a few days later. When the dupe arrived, it was boxed up much the same as the StylPro one, a cube-shaped box, with illustrative pictures on the side. The only difference was that it wasn't branded. The contents of the kit were the same too, a plastic bowl, a battery operated spinning device, a few rubber attachments to grip your brushes while they spin and an instruction booklet. 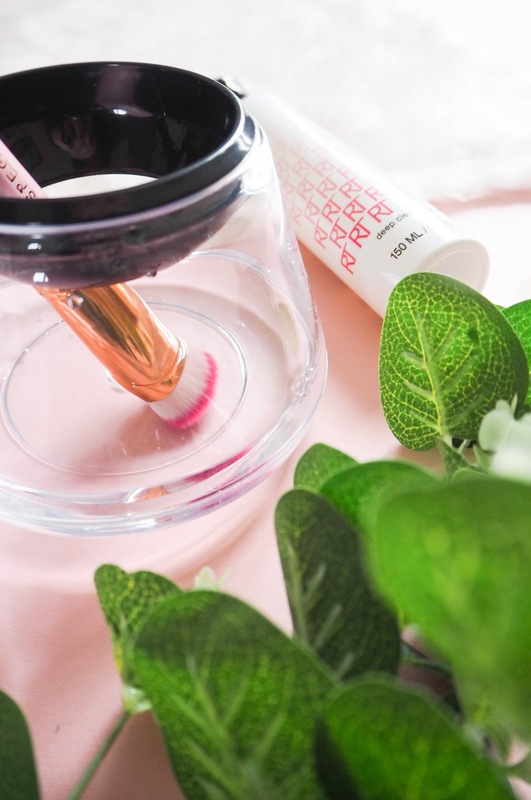 I put the dupe to the test, my dirty makeup brushes were piling up quickly. The eBay dupe didn't come with any brush cleaner so I used my Real Techniques Deep Cleansing Brush Gel. I added warm water to the bowl and added a couple of drops of the cleaner. The kit provides you with rubber grips, you simply slide your brush handle into the grip and then attach it to the main body of the spinner. These were easy to switch over and ensured the brush didn't fly off as the spinning motion began. The spinning motion was quite hard to get used too, sometimes it wouldn't do much at all and then the next minute it was zooming around! This made it really difficult to control the speed and make sure my brushes were spinning correctly in the water. 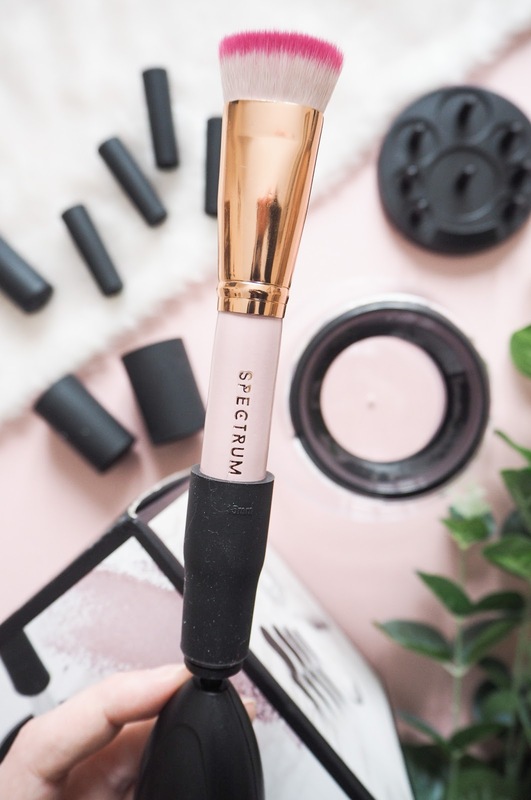 I'm not sure if it was the brush cleaner or not, but the cleaning kit didn't really seem to be able to get the makeup from the inner part of my makeup brushes. So I was having to take them out and rinse them in the sink to ensure they were roughly clean. I also used the spinning to dry the brushes, it did really help speed up the drying time. Overall, I'm not impressed by this eBay dupe, I think I'll stick to washing them in the sink!